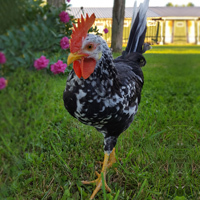 Lakenvelders — sometimes referred to as “Shadow on a Sheet” — are small, white chickens draped in black on their neck, wings and tails averaging just 4-5 pounds mature weight. 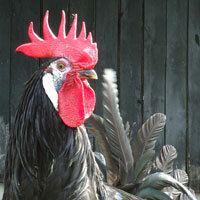 This is a beautiful breed with blue legs, large red single combs, deep red eyes and long, flowing tails. This very quick, active and alert breed will forage widely if allowed to run. 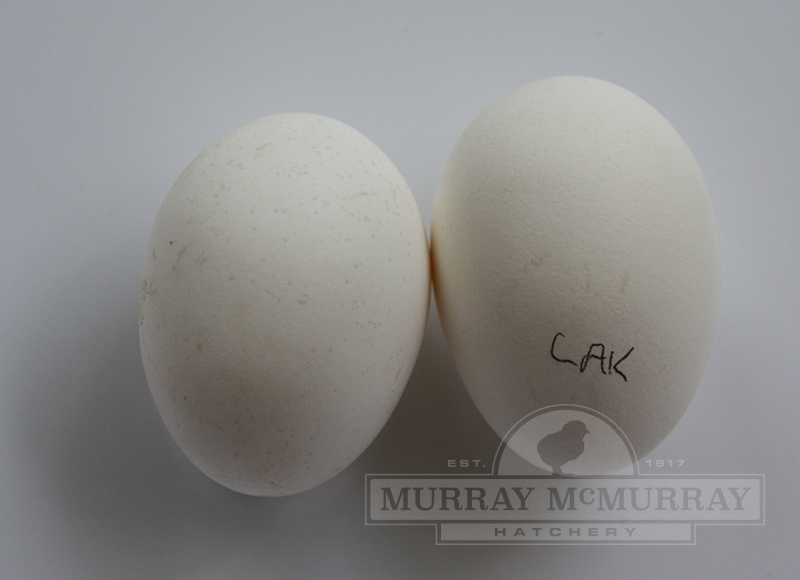 Lakenvelders are very rare, and considered a threatened breed by the Livestock Conservancy. 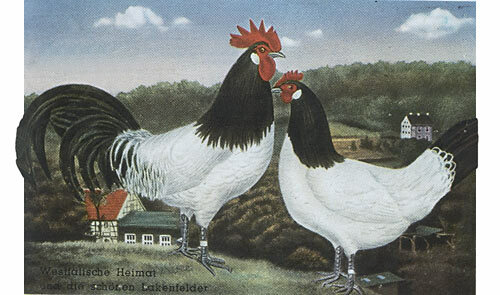 Lakenvelder hens have an upright stature, lay white eggs and are non-setters. 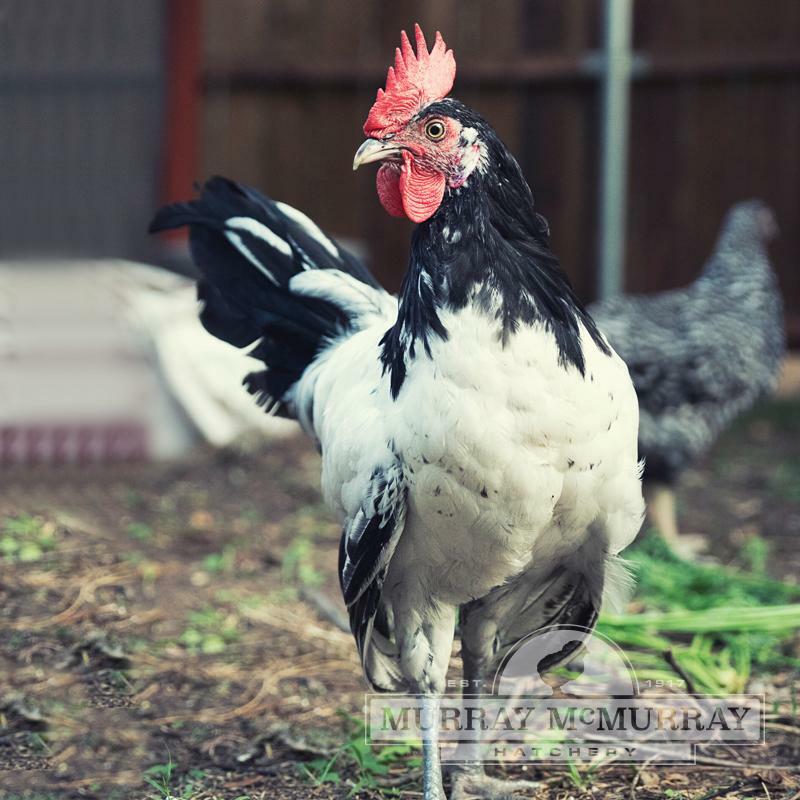 Baby chicks are mostly creamy-white with a half-collar of black on their neck, and sprinkling of black on their head and back. Do you have Golden Lakenvelders? We do not carry Golden Lakenvelders. A hardy breed indeedGot a rooster and 3 hens. The rooster was very aggressive and was not compatible with children so he went in the pot. 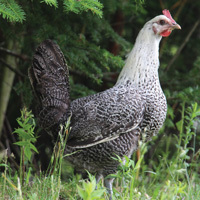 I still have the 3 hens and they are all very nice birds and get along well with the rest of the flock and are excellent foragers and layers. Had em' 3 seasons now and still vigorous. Get you some. 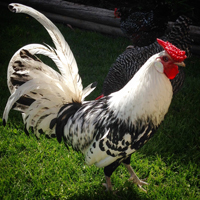 Mean roosterWe received a free chick of this breed that ended up being the meanest rooster we've ever had! Mostly attacking our kids. Needless to say, he made some tasty chicken soup in the crockpot.